Actor Vijay plays a cop named Vijaykumar in this movie. 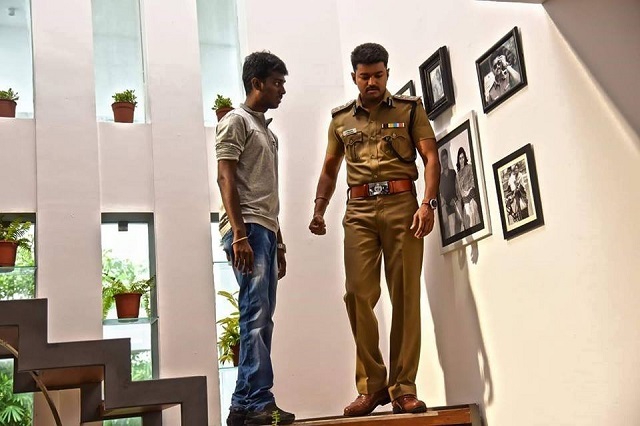 Director Atlee told a popular Tamil magazine that the actor plays a police officer who is emotional and down-to-earth. The actor is paired with Samantha and Amy Jackson in this movie. Director Atlee has stated that both the actresses will have equal footage in this film. Atlee stated that this would be similar to his previous film Raja Rani where both Nayanthara and Nazriya had equal footage and importance in the movie. However, not much has been revealed about their roles. Vijay is a good dancer and from the stills of the songs released, it looks like there will be plenty for his fans. The song visuals look colourful, trendy and peppy too. Music director GV Prakash is sure to have come with some good numbers for this movie. GV, as he is called, was the music director of Vijay’s Thalaivaa as well. 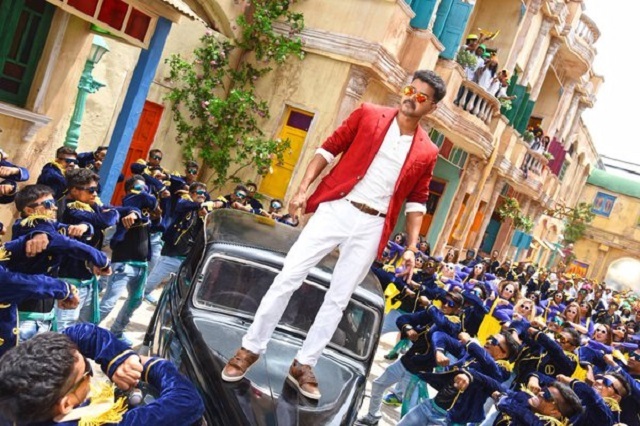 In Theri, the actor has sung a song called ‘Chellakutty’. He usually sings at least one song in his films. According to director Atlee, this movie will provide 100% entertainment and is a family film. There will be action, comedy, romance and a social message as well. Vijay has put in tremendous effort for the film and there are some new action elements as well, like an underwater fight sequence. Enjoy the show tonight! Congratulations!